My little girl got this book for Christmas and has described it as her favourite book, and it is truly inspirational! 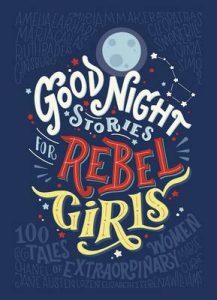 If you have a daughter I can’t recommend this book highly enough! Another favourite in our house! Life isn’t much fun at number four Privet Drive, at least not for Harry Potter, living under the stairs in a cupboard full of spiders, but all of that is about to change. On the eve of Harry’s eleventh birthday the letters start arriving; letters written in emerald green ink on yellowing parchment with an unmistakable letter H on purple wax seals. Because Harry Potter is no ordinary boy, he is the boy who lived, the wizard whose name everyone in the magical world knows and he has a place at Hogwarts School of Witchcraft and Wizardry. An incredible adventure is about to begin and life for Harry Potter will never be the same again. So pick up your broomstick, have your wand at the ready. Waterstones invites you to Join Harry as he discovers the magical world for the very first time at the start of this incredible, multi-award-winning series. This book was on last year’s Christmas list and has been read countless times in our house. From an award-winning designer comes a beautifully illustrated children’s story, a modern day classic that speaks to all ages. Once there was a Fox who lived in a deep, dense forest. 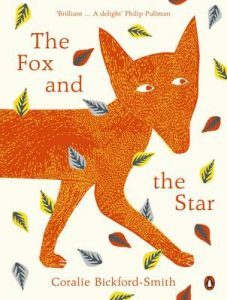 For as long as Fox could remember, his only friend had been Star, who lit the forest paths each night. But then one night Star was not there, and Fox had to face the forest all alone and learns to embrace life and the world around us. It is a book that crackles with imagination and wonder. Beautifully created by Coralie Bickford-Smith, it is inspired by the author’s own personal experience, the works of William Blake and graphic designer William Morris. It is a work of art that deserves a place on every book lover’s bookshelf, young and old. Roald Dahl is a firm favourite in our house! 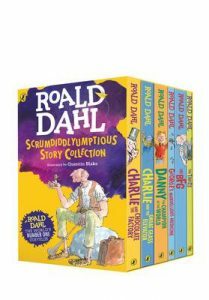 This collection includes six Roald Dahl favourites in a very special box set: Charlie and the Chocolate Factory, Charlie and the Great Glass Elevator, Danny the Champion of the World, George’s Marvellous Medicine, The BFG and The Twits. Complete with fun and fascinating extra material offering a sneak peek into the wonderful world of Dahl, this is a collection to treasure forever. 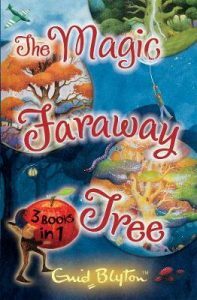 The Magic Faraway Tree Collection contains all three much-loved books in the Faraway Tree series by the world’s best-loved children’s author, Enid Blyton. We absolutely love this story in our house. 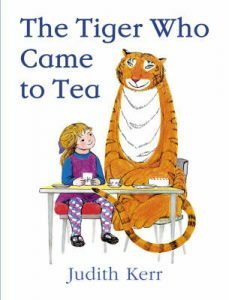 This classic story of Sophie and her extraordinary tea-time guest has been loved by millions of children since it was first published over 30 years ago. Now a new generation will enjoy this beautiful reformatted board book edition! This is another absolute favourite in our home and has been read over and over again. 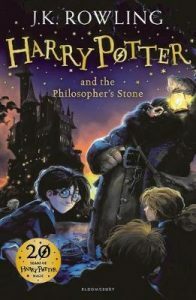 This edition of this children’s classics has had a magnificent makeover with the introduction of gorgeous illustrations. It’s stunningly beautiful and full of the pictorial details children love to search over and over looking for new, undiscovered treasures. 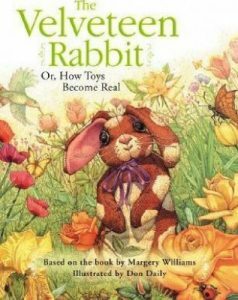 The story of a precious little stuffed rabbit, his love for a boy, and his journey to become real” is sure to delight toddlers and preschoolers and become a treasured keepsake in every family library. Walk further into the deep dark wood, and discover what happens when a quick-witted mouse comes face to face with an owl, a snake …and a hungry Gruffalo! 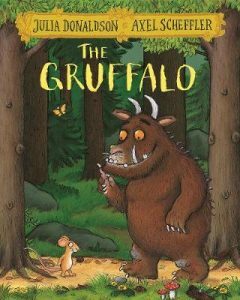 Julia Donaldson and Axel Scheffler’s The Gruffalo is an undisputed modern classic and has become a best-selling phenomenon across the world with over 13.5 million copies sold. This award-winning rhyming story of a mouse and a monster has found its way into the hearts and bedtimes of an entire generation of children and will undoubtedly continue to enchant children for years and years to come. No home should be without The Gruffalo! We’re going on a Bear Hunt was the topic for my little girl at preschool last year, which is why we originally chose it and I am so pleased we did. 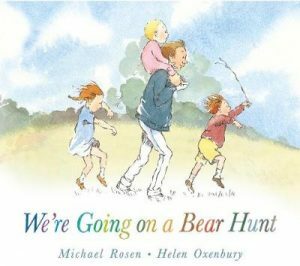 Follow and join in the family’s excitement as they wade through the grass, splash through the river and squelch through the mud in search of a bear. This was one of my husband’s favourite books growing up so it has been in our collection for a while and it is still a regular bedtime read. 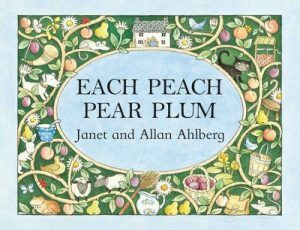 Each Peach Pear Plum introduces characters from well-known nursery stories, such as the Three Bears, Mother Hubbard and Tom Thumb, and encourages children to participate and to find the characters hidden in the pictures. 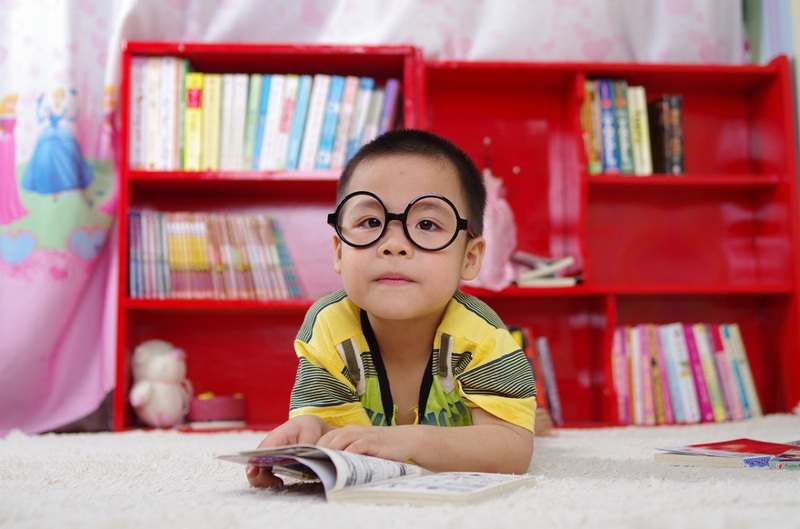 The text, with its strong rhyme and rhythm, is perfect to read aloud to very young children, while the game of ‘I Spy’ keeps children enthralled. Welcome to the world of Nocturnia, where darkness reigns supreme, glitter is terrifying, and unicorns are the stuff of nightmares! 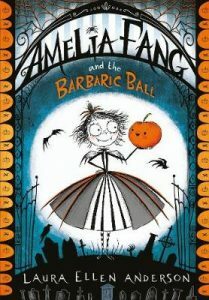 Amelia Fang would much rather hang out with her pet pumpkin Squashy and her friends Florence the yeti (don’t call her beast!) and Grimaldi the reaper than dance at her parents’ annual Barbaric Ball. And when the King’s spoiled son Tangine captures Squashy, Amelia and her friends must escape the party to plan a daring rescue! In their race against time, they begin to realise things in Nocturnia may not be quite what they seem . . . 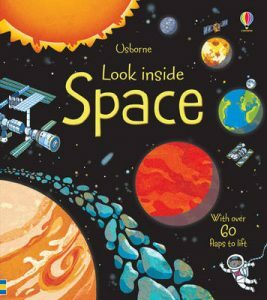 These fun and educational usborne books are fantastic, we have a number of these at home including Look Inside Space and I cannot recommend them enough. This is a great fun flap book packed with interesting information about space, and the amazing things that float through it – stars, moons, comets, and the planets of our solar system. Each double-page spread has a stunning colour illustration, and several flaps to lift to find out more about what’s going on in the scene – such as what goes inside the International Space Station, how astronauts visited the Moon and what they did there, as well as the history of astronomy, from Galileo to the Hubble Space Telescope. 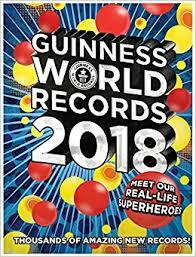 The record-breaking records annual is back and packed with more incredible accomplishments, stunts, cutting-edge science and amazing sporting achievements than ever before. With more than 3,000 new and updated records and 1,000 eye-popping photos, it has thousands of new stats and facts and dazzling new features. Go on a whirlwind tour of the planet’s most amazing places, from the largest swamps to the deepest points on Earth. Find out what happens when you give an octopus a Rubik’s Cube, and why all you need to defend yourself from a crocodile is a rubber band! Another Julia Donaldson classic and a brilliant one at that, we absolutely love this book in our house. “How the cat purred and how the witch grinned, As they sat on their broomstick and flew through the wind.” The witch and her cat fly happily over forests, rivers and mountains on their broomstick until a stormy wind blows away the witch’s hat, bow and wand. Luckily, they are retrieved by a dog, a bird and a frog, who are all keen for a ride on the broom. It’s a case of the more, the merrier, but the broomstick isn’t used to such a heavy load and it’s not long before…SNAP! It breaks in two! And with a greedy dragon looking for a snack, the witch’s animal pals better think fast. 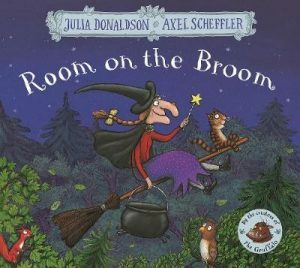 A very funny story of quick wits and friendship, The Room on the Broom is another smash hit from the unparalleled picture-book partnership of Julia Donaldson and Axel Scheffle. My eldest was given this book as a present recently and finds it hilariously funny. Once upon a time there was a boy named Drew. Drew dribbled a lot. This wasn’t normal, everyday dribbling, the odd globule of gob gloop running down your chin. Oh no, this was dribbling on an industrial scale. Laureate of mischief and Number One bestselling author David Walliams presents The World’s Worst Children, a collection of ten short stories about five beastly boys and five gruesome girls. Meet TV super-fan, Sofia Sofa, so stuck to the sofa that she’s turning into one; Dribbling Drew, a boy whose drool gets him into trouble; and Blubbering Bertha, a girl who bawls and tells terrible tales. Plus expect an appearance from everyone’s favourite character: Raj! 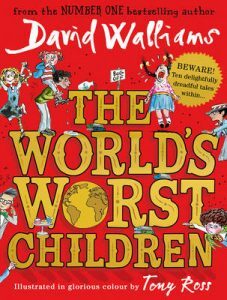 The World’s Worst Children may be Walliams’ most devious, mischievous and devilishly delightful book yet.